Built 1838-1840 by Josef Hirn as a granary. 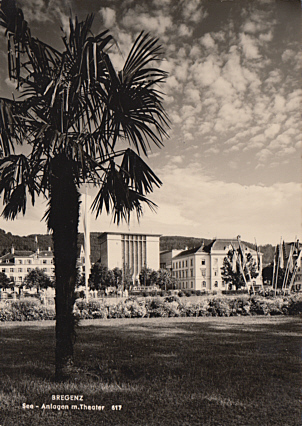 1951-1953 converted to a theatre by Willibald Braun and Wilhelm Braun. 1993-1995 rebuilding and renovations by Helmut Kuess. Addition of a studio theatre. 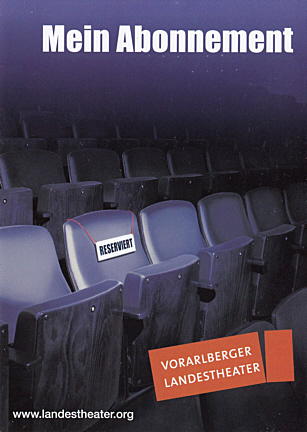 Used by the resident "Vorarlberger Landestheater" state drama ensemble and for opera performances. 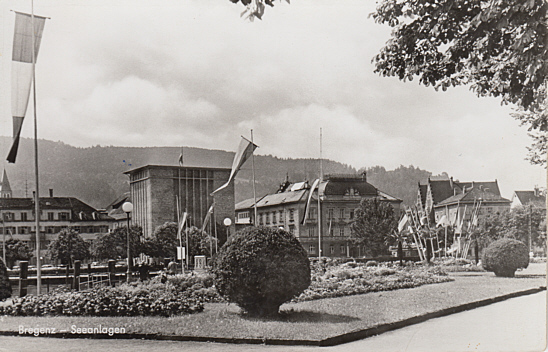 Also used for opera and drama performances by the Bregenzer Festspiele festival. 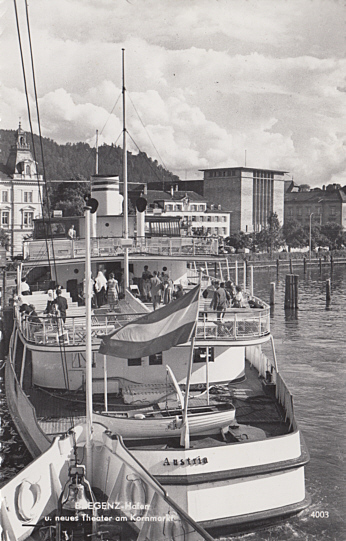 Front Text: "Bregenz, Hafen u. neues Theater am Kornmarkt"
Front Text: "Bregenz, See-Anlagen m. Theater"
Front Text: "Mein Abonnement", "Vorarlberger Landestheater", on sign: "Reserviert"